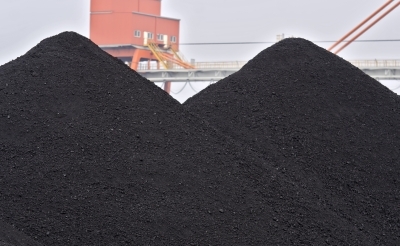 France’s Engie and Japan’s Mitsui have agreed to divest their 1GW Loy Yang B coal-fired power station in Australia to Alinta Energy, which is owned by Chow Tai Fook Enterprises, for A$1.1bn ($834m). Located in Victoria’s Latrobe Valley, the power plant is said to account for nearly 17% of the energy needs in the state. It is 70% owned by Engie and 30% by Mitsui. The acquisition is part of the Chinese-owned firm’s effort to strengthen its position in the country’s tight energy market. The sale is a part of the two firms’ strategy to move away from the fossil fuel-fired power generation and reduce CO2 emissions. Upon completion of the deal, coal is expected to account to 6% of Engie’s global power production capacities, down from 13% at the end of 2015. The proposed transaction is expected to translate into a €666m reduction in ENGIE’s consolidated net financial debt. Scheduled to be completed in Q1 2018 at the latest, the transaction is subject to customary conditions. Engie said that it would continue operations in Australia and New Zealand with low carbon power production as well as supply of energy (gas and electricity) and services to more than 650,000 customers. The Loy Yang B power station uses brown coal as fuel. The coal is sourced from the adjacent Loy Yang open cut mine. Earlier this year, Engie and Mitsui have reportedly received bids also from China Resources Power and privately owned Australian firm Delta Electricity, which is backed by private equity firm Apollo Management, for the acquisition of the power plant . Image: Engie intends to move away from fossil fuel-fired power generation. Photo: courtesy of dan/FreeDigitalPhotos.net.